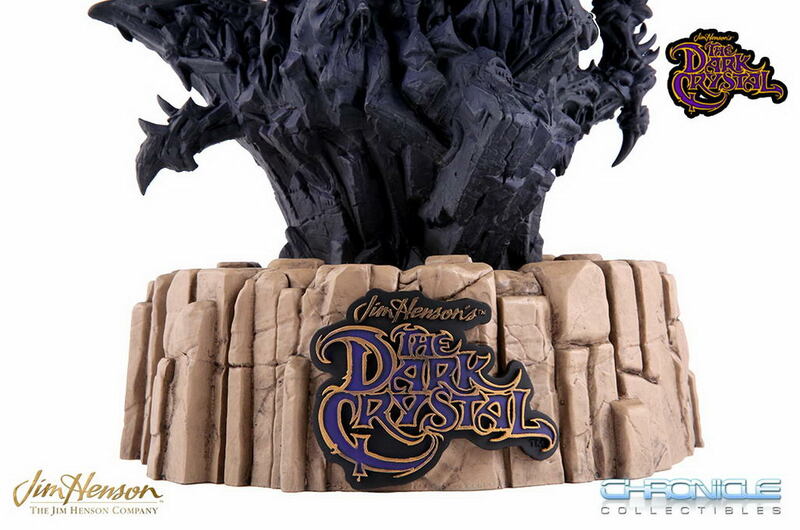 Chronicle Collectibles is about to take a huge chunk of change out of the pockets of Jim Henson fans all over the world. 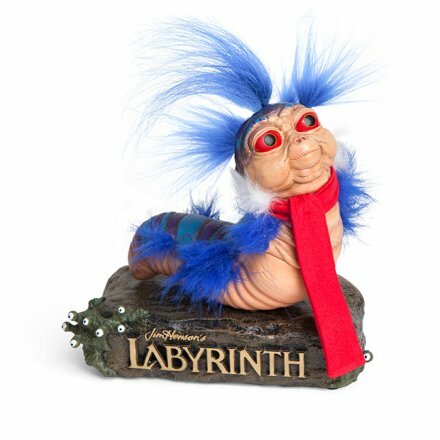 The company has just put up replicas of the Skekis Castle and the Emperor’s Scepter from Dark Crystal up for Pre-Order and the Ello Worm from Labyrinth up for sale on Thinkgeek.com. 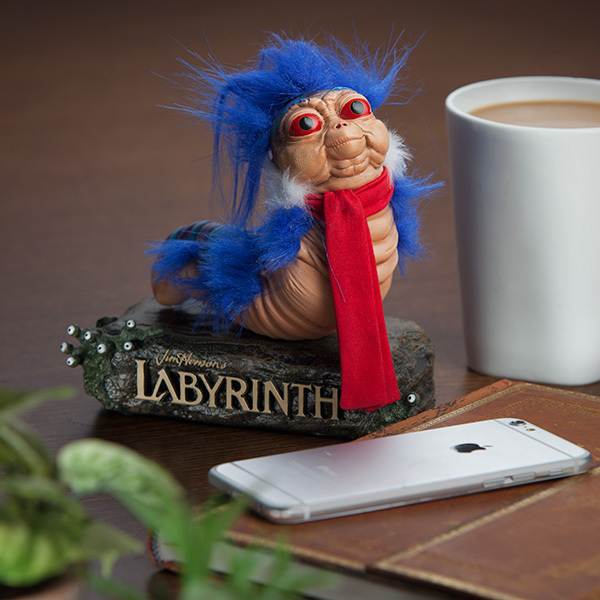 To ensure fans are getting a high-end collectible made to exacting standards, The Jim Henson Company allowed us to 3-D scan the original screen-used prop. 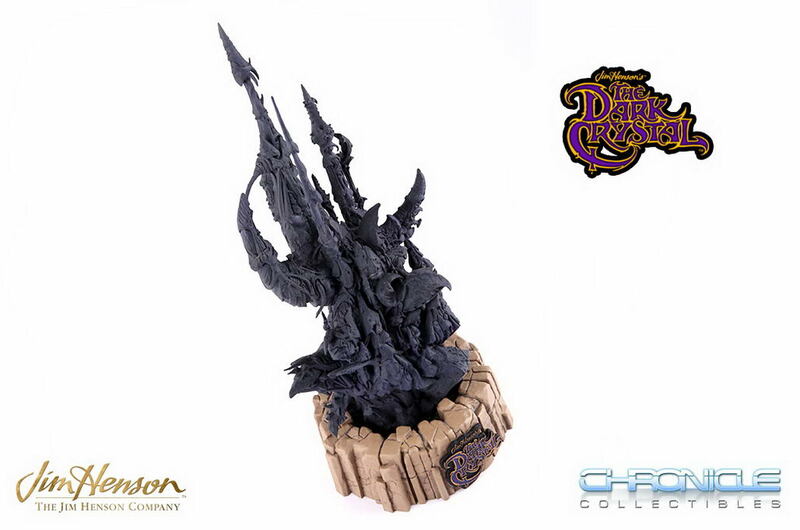 We then painstakingly documented and photographed every twist and turn of the spires to guarantee a precise scaled replica that The Dark Crystal fans will be overjoyed to own. 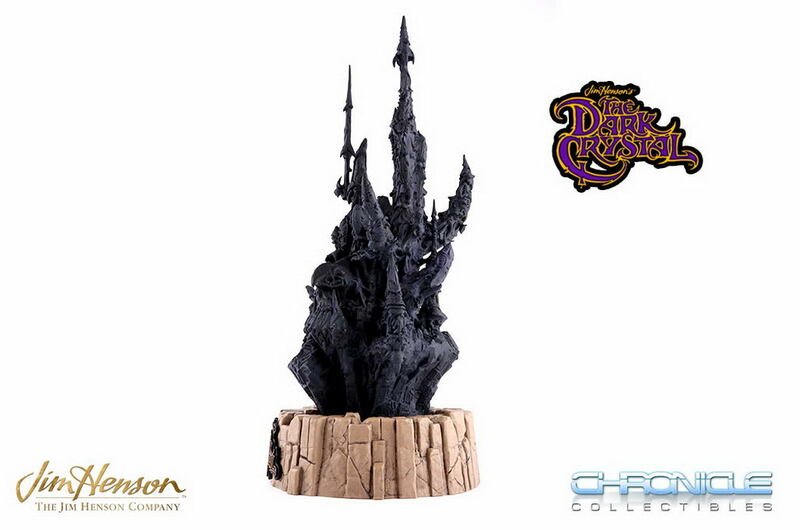 We are also pleased to reveal that we have it on good authority that the same Castle of the Skeksis prop we had access to will be featured in the upcoming Netflix series The Dark Crystal: Age of Resistance. As such, we expect this limited edition piece to sell out quickly once that word gets around when the new series debuts. Product is approximately 18” tall on an 8″ diameter base. 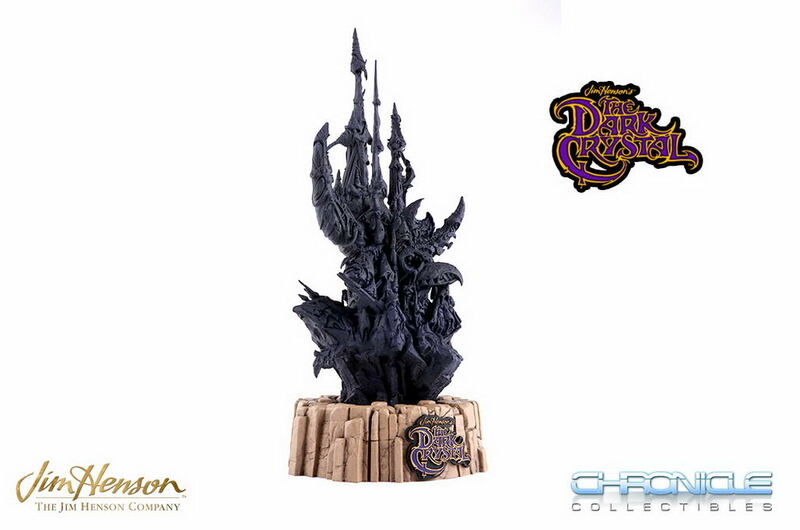 Chronicle Collectibles proudly presents our first offering from The Dark Crystal: the 1:1 Emperor’s Scepter! Now you can finally own the scepter at the center of the power struggle following the Emperor’s demise, minus having to go through a Trial by Stone. 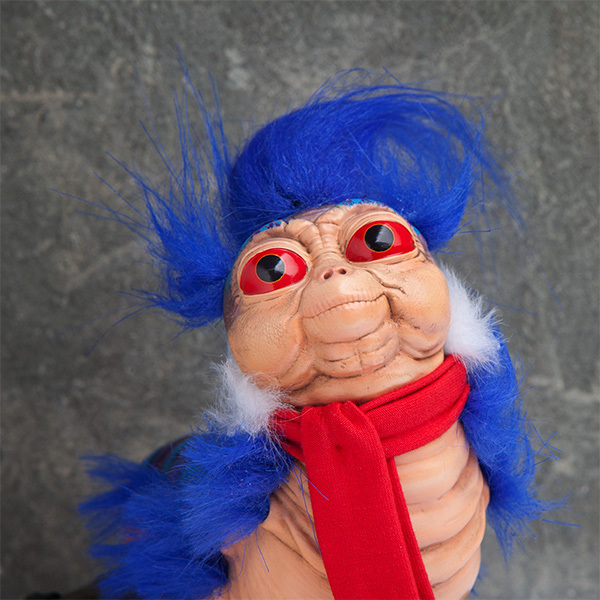 This first-of-its-kind life-size prop replica was made using a scan of the original screen-used prop and is officially licensed by The Jim Henson Company. 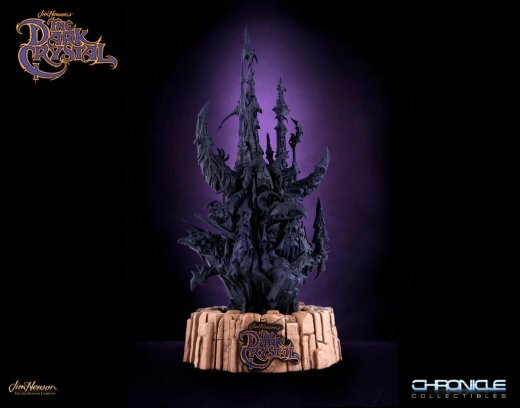 As a limited-edition, high-end collectible, the 1:1 Emperor’s Scepter will surely be the pride of any fan of The Dark Crystal. Featuring ornate detail down to the smallest levels, the 1:1 Emperor’s Scepter is just what The Dark Crystal fans have been waiting for and what every Skeksis desires. Measuring 30” long, the 1:1 Emperor’s Scepter makes for an impressive prop replica for any fan’s collection. Fulfill the prophecy and make Chamberlain jealous! Take advantage of our no-interest payment plans and order yours today before the three suns align again and this limited-edition piece sells out! Product is 30″ long, 6.5″ wide and 3″ deep. The Plaque is 6.5″ long, 5.5″ wide and 4″ deep.